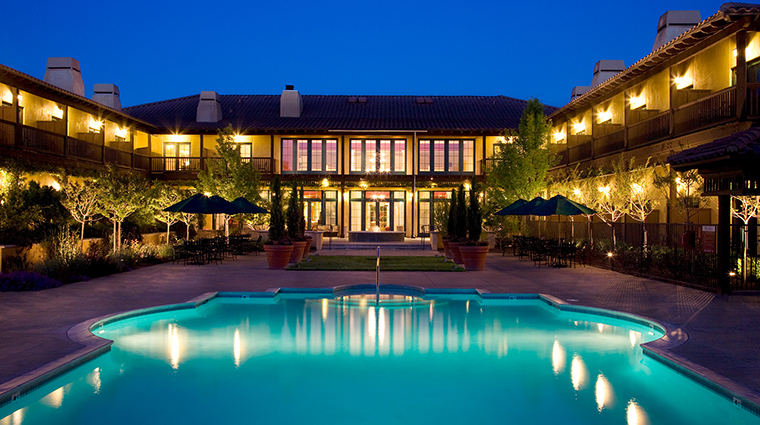 The Lodge at Sonoma Renaissance Resort & Spa serves as the gatekeeper to Sonoma Valley’s varied riches. 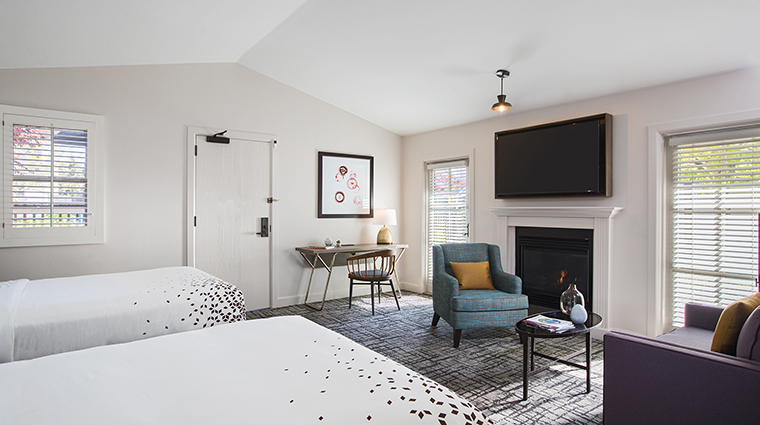 Centrally located and within striking distance of the shops and restaurants surrounding charming Sonoma Plaza, The Lodge is well situated for exploration of this area that locals describe as quaint, authentic and unspoiled. In other words, the antidote to Napa Valley’s crowds and traffic ensnarements. 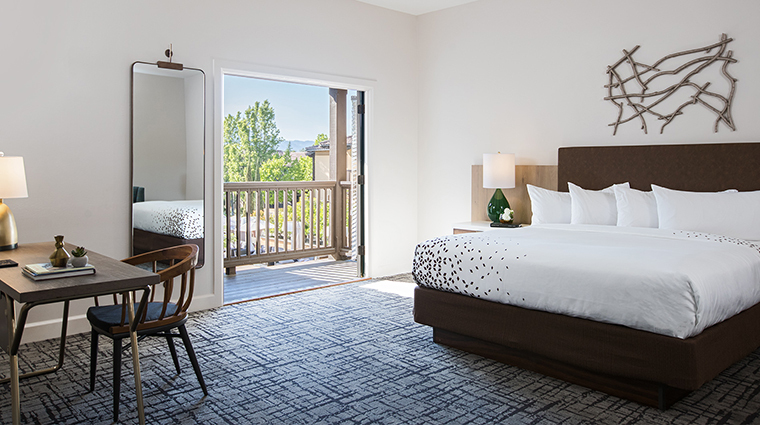 A recent remodel of the rooms has elevated The Lodge’s formerly rustic vibe to something a bit sleeker and more sophisticated. Hues of burgundy and slate gray provide a serene atmosphere for enjoying your afternoon wine haul. 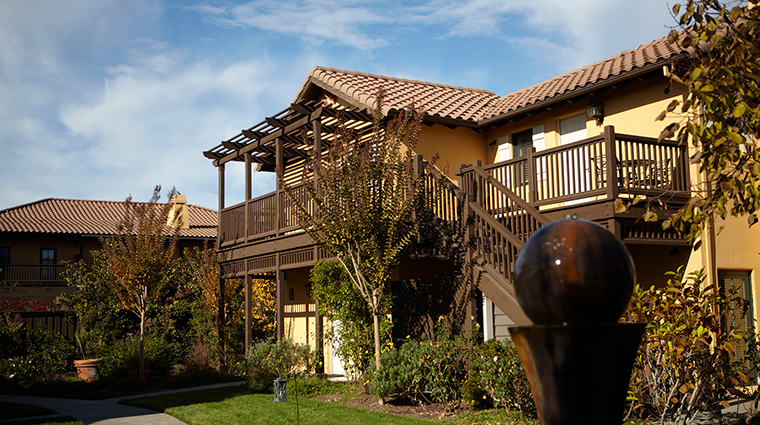 The outdoor spaces are equally inviting — the central pool deck, individual balconies and patios, a hobbyist vineyard — and beckon to those whose cabernet needs a little extra aeration. A stunning and expansive lobby welcomes you with vaulted ceilings and whimsical touches, such as driftwood-encased lighting, an orchid-covered console and fruit-infused ice water served atop a dramatic Indonesian “scholar stone” that resembles a large piece of coral. A central pool anchors the property and is surrounded by an abundance of chaises and couches that make 7 a.m. place-saving towel draping unnecessary. 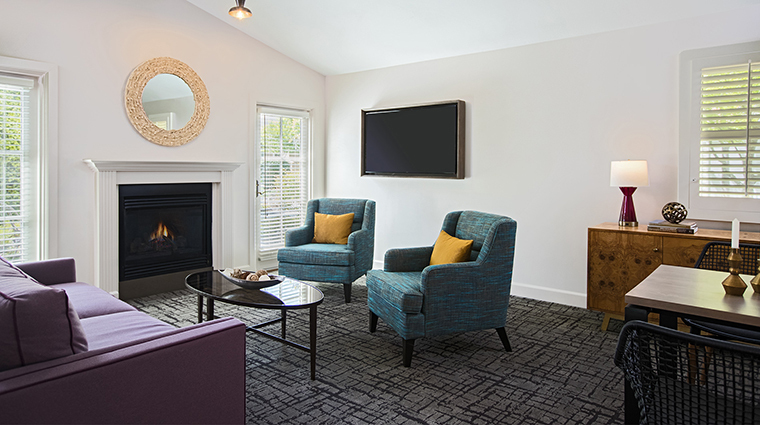 Ample space heaters provide welcome warmth on typically cool evenings. The 14-acre property features more than 800 budding rose bushes. Meander the lush, green walkways. 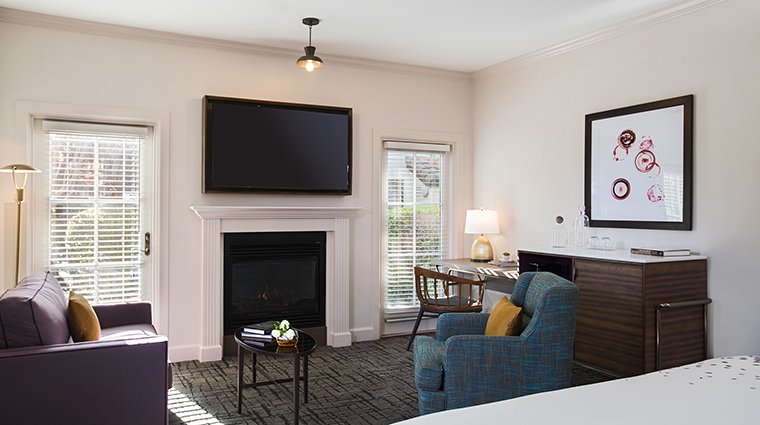 The Sonoma hotel is surrounded by more than 200 wineries, and throughout the year, many find their way to The Lodge’s Gallery Lounge, where tastings are hosted daily from 4:30 to 6 p.m. 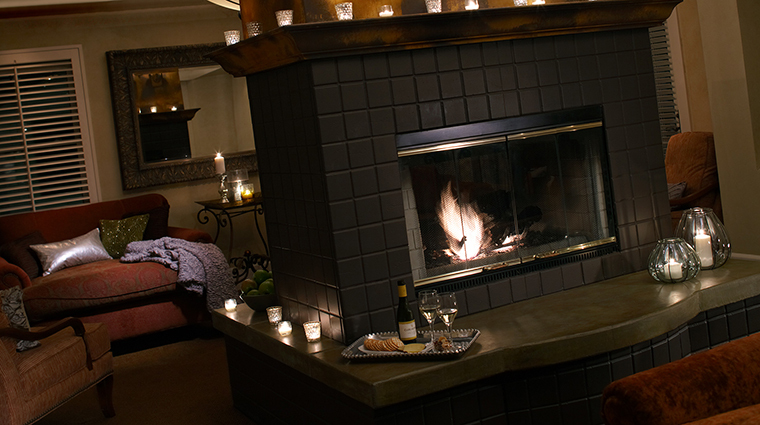 The spectacular Spa at Renaissance Sonoma — with 13 treatment rooms, a fireplace-lit relaxation lounge and four heated pools — is a destination unto itself, and is well-known as a Sonoma spa go-to. Enjoy live musical entertainment every Thursday, Friday and Saturday evening on the pool deck. 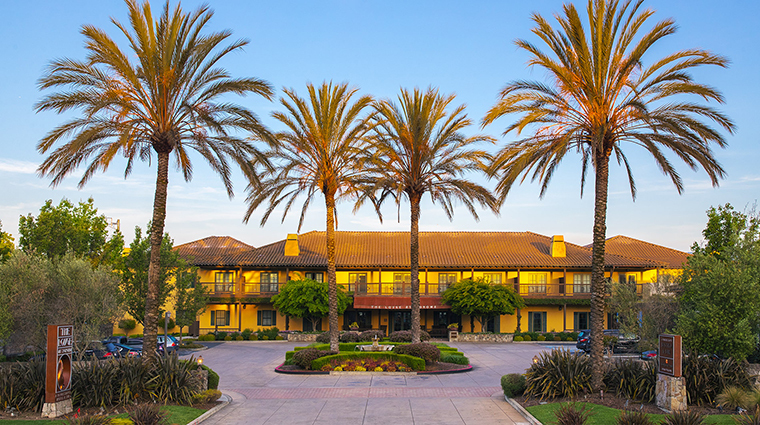 Sonoma is home to many popular groups and duos with loyal followings; these concerts make for a vibrant mix of locals and Lodge guests. Hotel sommelier Dan Noreen is as knowledgeable about flora and fauna as he is wines. Join him Friday mornings for a hike on the Sonoma Overlook Trail and toast your accomplishment with the sparkling wine he stashes in his backpack. Plan to spend a full day at the luxurious spa. 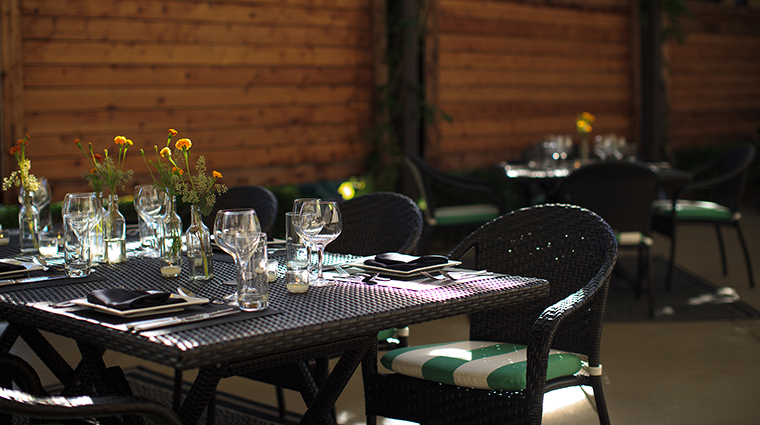 Order a meal and have it delivered to the lush private garden where four heated pools and hot tubs provide every reason to relax and stay awhile. Both the Lodge and the slightly larger Cottage rooms come with pillow-top beds, coffeemakers, flat-screen televisions and private balconies or patios. 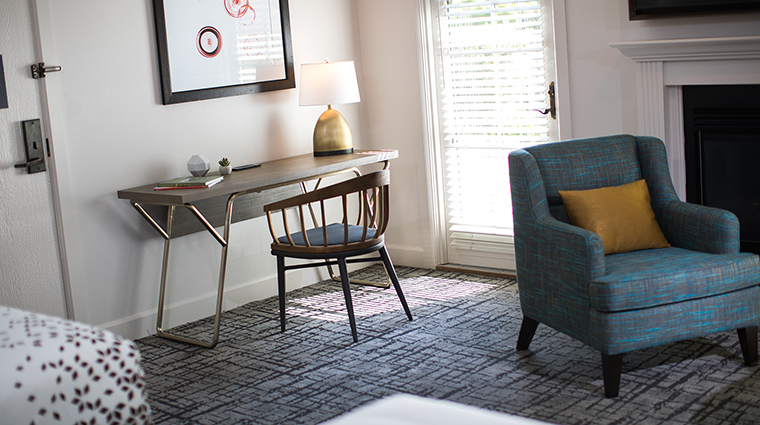 For more space, opt for one of the property’s four suites. The lobby’s gray and burgundy hues carry through to the room décor. Bedding is crisp, white and flawless. Bathrooms have gray herringbone shower tile and gray wood-patterned floor tile; some have deep soaking tubs. Plush robes are at the ready. Bean & Bottle is a grab-and-go coffee spot by day that turns into a hip bar by night specializing in small-batch, artisanal spirits. 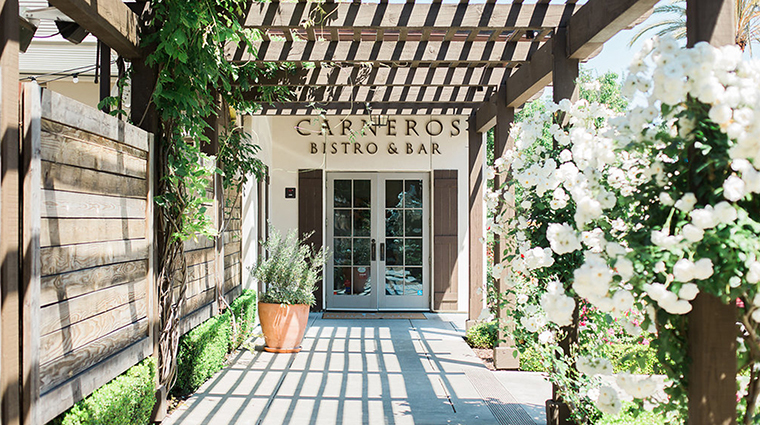 Open all day long, Carneros Bistro offers farm-to-table, seasonal cuisine, along with an extensive wine list featuring Sonoma Valley greats. Carneros Bistro serves American classics with a Mediterranean twist. Think spiced Niman Ranch pork belly with a tamarind glaze, saffron lobster risotto and truffled red quinoa with baby carrots and fava beans. An assortment of light bites, sandwiches and salads are available on a poolside menu during the day.